Trader Joe’s is officially open in the Bellevue Central Shopping Center which now shares space with REI and HomeGoods furnishing store. 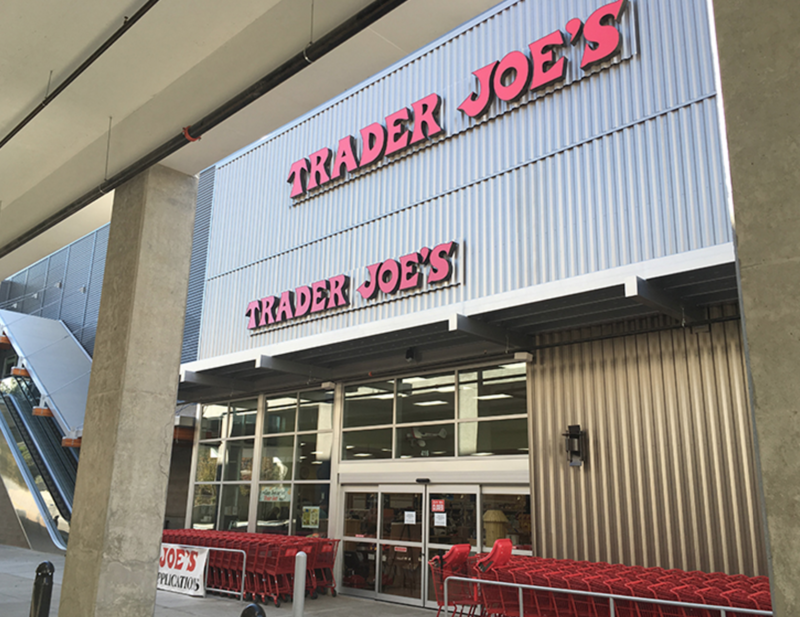 The lease states 12,241 square feet of shopping center space will be for a Trader Joe’s grocery store, which would be located with HomeGoods on the ground floor. Bellevue Central will have access from 116th, leading to a parking structure to the east, but motorists will also access the center on the newly constructed Northeast Fourth extension via two driveways leading to the top and bottom levels of a two-story garage. The garage is expected to provide 309 parking stalls.